WASHINGTON Luring American businesses to invest in Yemen is a tough sell. The weak central government is struggling to impose the basic rule of law in a country that is not only the poorest in the Arab world, but also home to al Qaeda's most dangerous franchise. In spite of the odds, U.S. Ambassador Gerald Feierstein is on a mission to get U.S. dollars flowing into the small country. Poverty makes Yemen a fertile breeding ground for Islamic extremism, and the State Department hopes that by recruiting American investors to foster nascent Yemeni industries like coffee and oil, the U.S. can reduce the number of young men whose grim prospects make them willing recruits for Al Qaeda in the Arabian Peninsula (AQAP). The CIA and Joint Special Operations Command (JSOC) have carried out 33 American drone strikes in Yemen in 2012, according to The Long War Journal, which compiles reports of counterterrorism operations. In comparison, there were just 10 strikes during 2011. Shrouded in secrecy, the strikes have been used to target militant leaders and camps, primarily in the country's south. Feierstein credits the Yemeni military for pushing al Qaeda out of some of their strongholds in the south, but he admits that the country is not yet at the point where it can take on full responsibility for its own security. "Al Qaeda is scattered now. They're still a force, still a threat, but not in the same situation that they were in a year ago," Feierstein tells CBS News. "Our priority on the security side is trying to help the government of Yemen develop its own capabilities in order to confront violent extremism, particularly AQAP." Assuring American companies that "their investments are not going to be threatened" by Yemen's ongoing "security challenges" is one of the harder parts of the U.S. ambassador's sales pitch to investors. This week, he's visiting five U.S. cities with a contingent of nine business leaders who invest or are based in Yemen. They're trying to help Feirerstein convince American businesses that there may be high returns if they're willing to put their financial capital at risk in Yemen. The ambassador says Yemen's government understands the "soft power" of U.S. economic investment can be a potent tool to foment stability in the long term. "Everyone understands that there's not going to be economic development without security," says Feierstein. "It is also important that there's not going to be security without economic development." U.S. policymakers realize that Yemen's economic development will take decades. 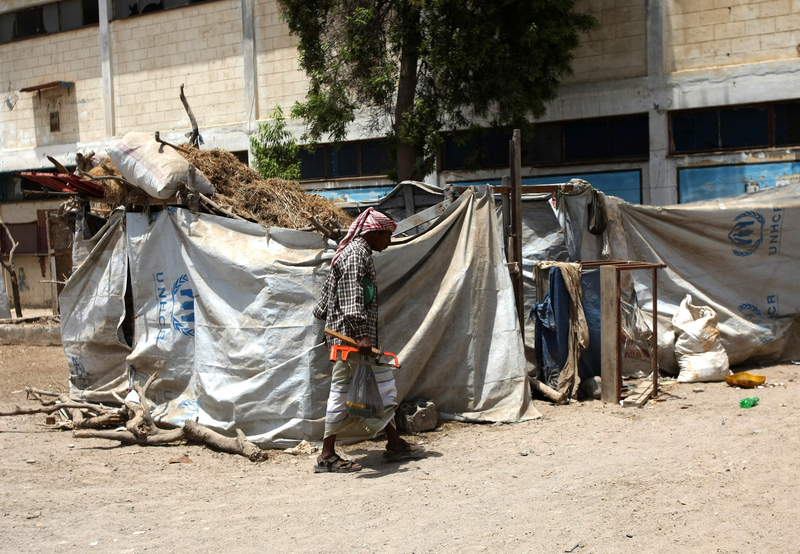 The World Food Program estimates that 22 percent of Yemenis can't afford to feed themselves. The country of 24 million people has the third-highest rate of child malnutrition in the world. Landless laborers make up the bulk of the population. That population is not a likely consumer base for expensive U.S. products, so instead, American policymakers hope to make the U.S. a market for Yemeni coffee and oil. Feierstein estimates that 85 percent of the country has never been explored by oil companies, and that there are off-shore drilling opportunities waiting to be discovered. In spite of the fact that Yemen currently struggles to tap its own natural resources to generate enough domestic energy, Feierstein is assuring investors that the country -- which neighbors oil-rich Saudi Arabia -- has the potential for a vibrant energy industry. Leveraging America's economic might to strengthen security and influence has been a focal point of Secretary of state Hillary Clinton's foreign policy. She calls it "economic diplomacy." The Obama administration has also tried this approach in Egypt, Libya and other countries that underwent revolt during the Arab Spring. But working so openly on such projects in countries where security remains an aspiration rather than a reality comes with risks that go far beyond losing American investment money. U.S. Ambassador Chris Stevens was killed last month while working on a similar initiative in Libya. Ambassador Feierstein insists that, while the U.S. Embassy in the Yemeni capital was also overrun by protesters after the fatal Sept. 11 assault on the U.S. Consulate in Benghazi, Libya, he has received "superb support" from the State Department and U.S. Central Command to secure U.S. interests in Yemen.